Not many people know what a Standard of Cover is, nor have they had a chance to read the document that the Carbondale Fire District has put together to detail what we do for the community and why we do it. Chief Rob Goodwin and Deputy Chief Bill Gavette spent better than half of last year rewriting the Standard of Cover so that the community could access this information to help them better understand the significance of this department. In light of recent events with the Lake Christine Fire, this document describes the vitality of always being prepared and ensuring a safe and effective response force for structural and wildland fire suppression, emergency medical services, and specialized response situations. Standards of Response Coverage is a comprehensive report that highlights community demographics, risk, resource deployment, concentration of personnel, and response reliability. The report provides a valuable review of past performance and offers strategic recommendations ensuring safe and effective emergency response. Carbondale & Rural Fire Protection District has 22 full-time positions as well as 49 volunteer firefighters and EMTs who provide staffing for incident response at 5 different stations in the district. 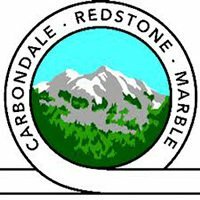 The district provides services to the communities of Carbondale, Redstone, and Marble along with significant populations in the unincorporated “West End” and Missouri Heights. The Standard of Cover reflects the changing needs of Carbondale & Rural Fire Protection District and serves as a mechanism for constantly seeking opportunities for improvement. It is a key element in our plan to reduce risk to our residents and visitors. We are constantly assessing the risks of a given area and ultimately how to stop an emergency situation before it gets out of control. Attempts to control an emergency before it has reached its maximum intensity requires geographic dispersion and clustering of resources near service delivery points for maximum effectiveness against the greatest number and types of risk. The risk factors specific to the Carbondale Fire District include: topography, water supply, geographical area served and transportation systems. In addition, risk factors including life hazard, special hazards, wild land fire hazards, water supply and building construction and usage were examined to further evaluate community risk levels. Our mission: To serve the communities within the Carbondale & Rural Fire Protection District and help create a safer environment through the provision of quality emergency services, public education, and prevention programs with a professional dedicated force of volunteers and paid staff. Carbondale Fire District responds to emergency and non-emergency calls within our district, and as well as outside of the district by providing mutual aid to our neighboring fire districts. These responses include emergency medical calls, structure and wildland fires, vehicle fires, technical rescue, swiftwater rescues, and hazardous materials incidents, as well as smoke reports, odor investigations, and assisting law enforcement. You will also see us at a number of standbys for special events. We are continuously looking to add response capabilities, as new risks become known. There are five stations located in the Carbondale & Rural Fire Protection District. The geography of the District plays a significant role in affecting response in the District. Approximately 60 square miles and 900 homes are located in areas designated as High and Extreme risk of wildfire. For this reason, our mission has always been to “try to keep small fires small”. The way to be successful in emergency situations is to have a plan in place, and for everyone to keep control when things don’t always go according to plan. This Standard of Cover is a backbone piece to the puzzle for the fire department. It lets you, our community, know what efforts have been made and what plans are laid out in case of an emergency. The men and women at the Carbondale & Rural Fire Protection District work tremendously hard to uphold what is in this document. If you would like to read the Standard of Cover document, click here, or visit the website at carbondalefire.org. If you have any questions, as always, feel free to contact your friends at the Carbondale Fire District.